Solid robust construction at a very affordable price. 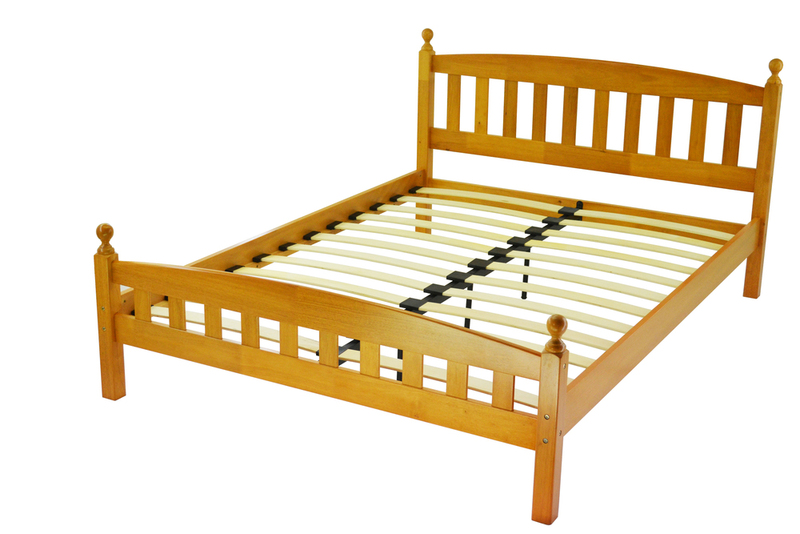 A very stylish bed frame available Cherry Wood and White finished. Laminated side rails and double bolt fitting for extra strength. A delightful contemporary double bed frame. Attractive leaf design on head and foot boards.